Currently, the United States has one of the highest tax burdens on personal dividend income in the OECD. 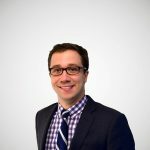 The top federal rate on personal dividend income is 23.8 percent (20 percent top marginal tax rate plus a 3.8 percent net investment tax to fund the Affordable Care Act). In addition, taxpayer face personal dividend taxation at the state level that ranges from zero in states with no personal income tax to 13.3 percent in California. 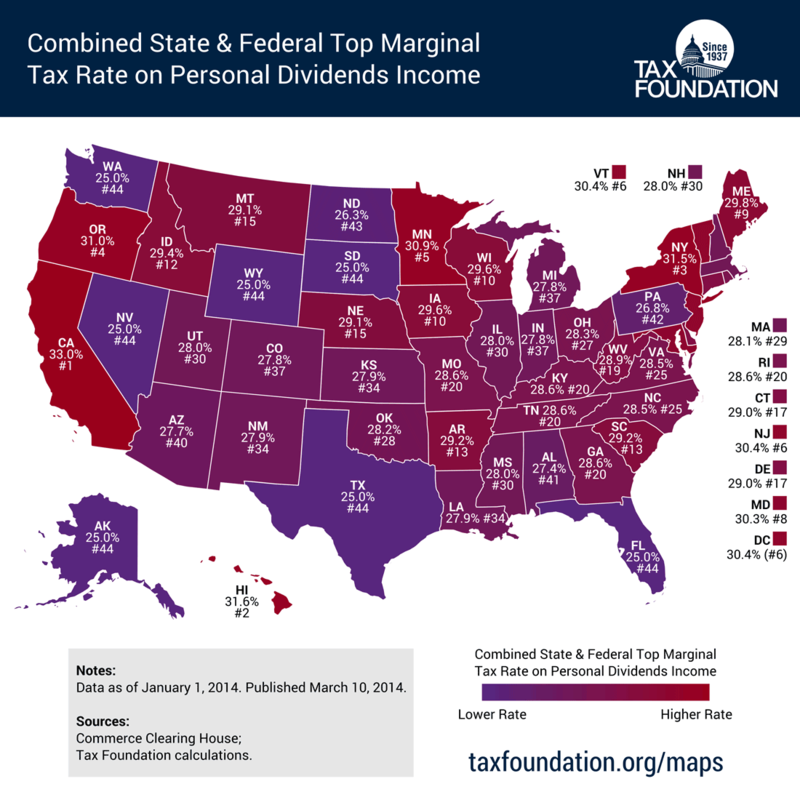 Taking into account the deductibility of your state taxes against your federal taxes, local income taxes, the phase-out of itemized deductions, and any special treatment of personal dividend income, this map shows the combined federal, state, and local top marginal tax rate on personal dividend income in each state. Most states tax personal dividend income as ordinary income. Thus, states with high income tax rates have the highest taxes on personal dividends. Californians face the highest top marginal personal dividend tax rate in the United States of 33 percent, followed by taxpayers in New York (31.5 percent), and Hawaii (31.6 percent). Taxpayers in states with no personal income tax (Alaska, Florida, Nevada, South Dakota, Texas, Washington, and Wyoming) face a top marginal tax rate on personal dividend income of 25 percent. Two states that do no tax personal income levy a tax on dividend income. Tennessee’s Hall Tax levies a 6 percent tax on personal dividend income (More on that tax here). New Hampshire levies a 5 percent tax on personal dividend income. The average across the United States is 28.6 percent. Read more about personal dividend taxation here.